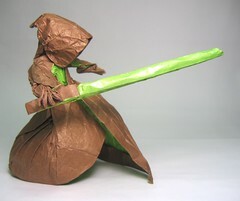 Phillip West has some amazing photos posted on Flickr featuring some of his very cool Star Wars related origami creations. Check out the photo set here. Personally I liked the Jedi figure, with the electrifying Sith Lord coming in as a close second favorite.